Looking to get out of the city and hit the sunshine and beaches of the west coast of Costa Rica? San Jose is just a short hour's drive away from the Pacific Coast where you will find the beautiful Pacific coast and the many islands to explore scattered throughout the Gulf of Nicoya. San Jose boat tours offer you several opportunities to get out on the water for the day and explore the Gulf of Pacific at your leisure. Just choose your favorite boat tour departing from San Jose and sail away!! 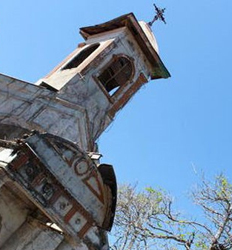 History buffs will enjoy the Isla San Lucas Prison boat tour. 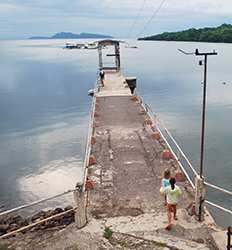 Long since closed, the island prison is now empty with the exception of a large colony of howler monkeys and the ghosts of the prisoners whose stories are depicted in elaborate pictures on the prison walls. Bird lovers will want to bring along their binoculars as our Gulf Island boat tours will take you around Isla Pajaros biological reserve, or Bird Island aptly named for the intense amount of birds nesting on this island gem in Puntarenas. Beach lovers and snorkelers will want to head to the Tortuga Island boat tour where schools of fish gather in nearby feeding grounds and there are a ton of activities to keep you busy on the beach all day. Nature lovers will want to venture to Tortuguero on the Caribbean coast where they can navigate the wildlife intense channels and waterways of Tortuguero by Safari boat. San Jose boat tours also have overnight options to visit the mystical cloud forest of Monteverde. Imagine spending your day island hopping the Gulf of Nicoya, then sleeping nestled in the cloud forest canopy....incredible!! Whatever the experience you are craving, San Jose Boat tours has something for you. With The Real Deal Tours you can be sure you are getting the best deals in Costa Rica on the best boat tours in San Jose. Take a look at the boat tours departing San Jose below and choose your favorite escape today! The Gulf of Nicoya in Costa Rica is a special region that is enjoyed by both locals and tourists alike. If you simply cannot choose between visiting Tortuga Island and San Lucas Island, herein lies your answer! 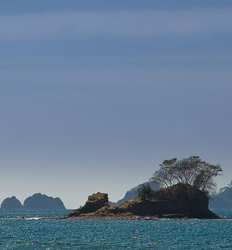 We now offer a full day boat tour of both of these beautifully landscaped on the amazing Gulf Islands Tour. Jump on board one of our two large boats! 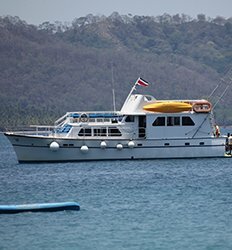 The Great Bay´s Princess Catamaran and Bay´s Princess are waiting to whisk you to two unique Costa Rican islands filled with history and natural wonders! 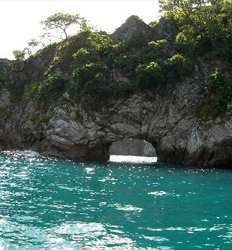 Boat Tour: San Lucas & Jesusita Island Combo Without Transportation deposit is $20.00 per person. Are you a beach lover? Can´t decide which destination in Costa Rica to settle on? Get the best of both worlds on our overnight Tortuga Island Tour and Monteverde Tour combo. Take a catamaran boat cruise though the Golf of Nicoya, sink your toes in the white sand beaches of Tortuga Island then experience the Cloud Forest in Monteverde! Tortuga Island Tour & Monteverde Overnight Combo Tour deposit is $22.00 per Standard Package and $32.00 per Premium Package. This tour departs Wednesday, Friday, Saturday and Sunday at 6:00 AM. Can't decide between the cloud forest in Monteverde or the beaches of Costa Rica? Why choose when you can have it all? Experience rich cultural history on San Lucas Island, delight in bird watcher´s paradise on the aptly named Bird Island, and then hike beautiful trails on Jesusita Island. Our Beach and Mountain tour has it all!